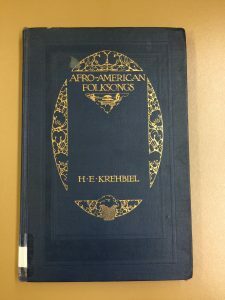 This entry was posted in Simon Plum and tagged Afro-American Folksongs, early musicology, folk music, Henry Krehbiel, Krehbiel, musicology by Simon Plum. Bookmark the permalink. YES! Great find, and great introduction to this important primary source. I would now challenge you to go further (and you might choose to do this in a subsequent post, or maybe in your final paper). Krehbiel contributed much to American musical discourse by taking Black folk music seriously, but he also did much harm. In particular, Amiri Baraka (born LeRoi Jones) critiques Krehbiel’s approach in “Blues People,” which we’ll read from shortly. Finally, pay attention to the music that Krehbiel “lifts up” and be skeptical of exactly that kind of narrative – that we owe Krehbiel for illuminating this “hidden” tradition at a time when people weren’t taking it seriously. 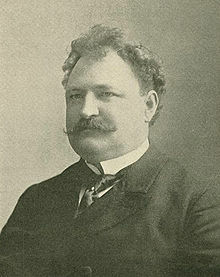 The fact that the Fisk Jubilee Singers were out popularizing a version of Black folk music, the careers of Will Marion Cook and Noble Sisle, the simple fact that blues, jazz, and swing all came into existing and became popular – there’s plenty of evidence that Krehbiel’s “help” wasn’t needed. You might disagree with that, and it would be fine if you did, but you’d need to account for why Krehbiel deserves more acclaim than condemnation. On a different note, you’re really killing it with these blog posts. Keep up the fabulous work!